I thought I’d kick off this version of the blog with some videos that can’t help but get you motivated about social media. For a complete breakdown of statistics and their sources, check out this socialnomics blog post. Getting up early gives you more control over the day. It’s an opportunity to decide what you want to do rather than react to the pressures that can so easily overwhelm your plans. Without getting up early it’s tricky to put “First Things First“. How will you know you’ve achieved this goal? While the time it takes to form a particular habit varies from person to person, a good initial target is to get up at the desired wakeup time for two weeks in an unbroken chain (including weekends) – though truly cementing this habit will likely take closer to 66 days. To track performance, try keeping a record of the times you go to bed, when you get to sleep and when you wake up. You can do this manually, but I prefer using https://www.askmeevery.com/, which enables you to log how well you are doing via email. Work out how much sleep you need to feel adequately rested. Set a “go to sleep target” based on the amount of sleep you need. Set another target for when you should be getting to bed – at least 30 mins before your “go to sleep” target. Gradually improve your go to bed/sleep/get up earlier times by increments of 15 mins each day. If you were unable to hit your targets, review the reasons why and adapt. Set a curfew when you know you need to go back home – e.g. an hour before you should be getting to bed. Set an alarm! TV & video games aren’t great hobbies – if possible replace these with reading. Failing this, set a curfew for when you turn off the TV – e.g. an hour before getting to bed. Set an alarm! Exercising throughout the day is extremely important for managing stress. Adjust your calendar to include some physical activity every day. Try incorporating meditation/mindfulness exercises, they can be a real boon to “letting go”. Not being tired at the end of the day can be a result of over-consumption of caffeine, so make sure to limit this especially after 2pm. For example, if you are a habitual coffee drinker try switching to green tea. Bright screens can disrupt sleep if played too close to bedtime. Create a buffer (at least 30 mins) between laptop/tablet/TV usage and going to bed. If you can get up but feel more bleary than you think you should be, try using an alarm clock which wakes you up in the right stage of your sleep cycle – e.g. https://www.sleepcycle.com/. Also, this could be a sign that you have been eating too much, too close to going to bed – create a buffer of at least an hour, and reduce intake. Get a new (louder) alarm or get one which moves. Drink water before you go to bed, and when you wake up in the morning. Prepare clothes for next day & place alarm underneath – preferably in a place which requires getting out of bed. 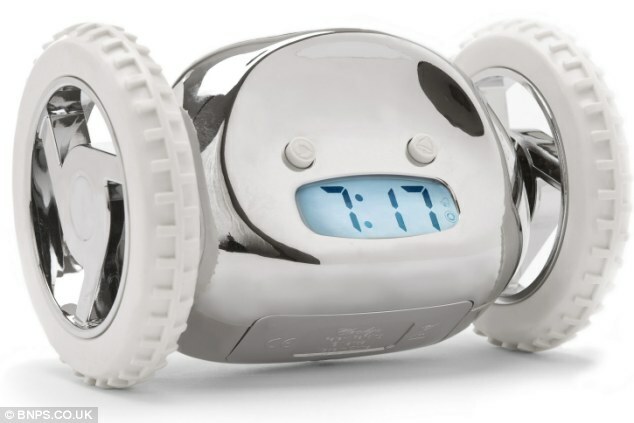 Placing the alarm clock underneath your clothes is a cue to actually put them on, making it less likely that you will crawl underneath the sheets again.. If you are really having trouble getting up, you can practice your wakeup routine – as strange as this may sound, it definitely works. This means lying down in your bed as if you were asleep (dress in your bedclothes), then getting out of bed as soon as you hear your alarm. You should then to put your clothes on and leaving the room. Optimize where you leave your clothes & alarm to make this process as efficient as possible. This should be repeated until it is completely automatic – try doing two sets of 6 repetitions at different times during the day to make this happen.